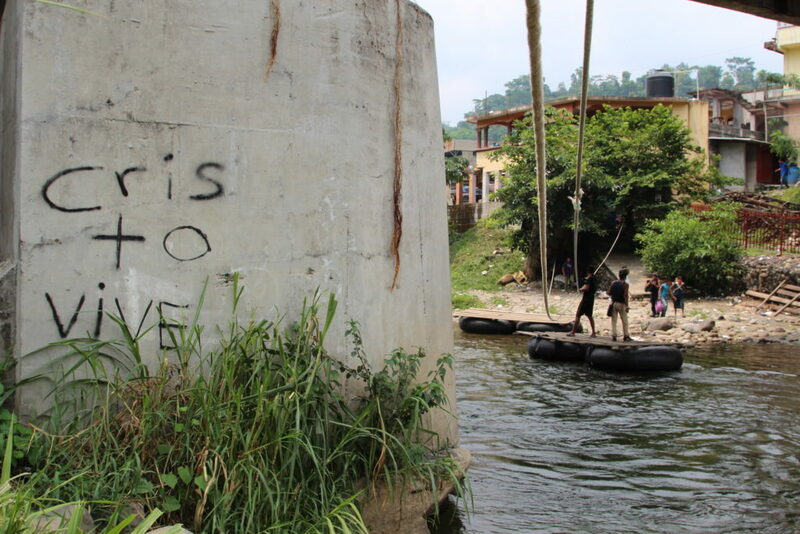 ARRIAGA, Chiapas — The town of Arriaga in the southern Mexican state of Chiapas perfectly encapsulates how migration through Mexico has changed since 2014. Located three hours and 11 checkpoints north of the Guatemala border, it’s a former hub of trains known collectively as La Bestia, or The Beast. “A lot more checkpoints have been put in and around Arriaga,” she said in Spanish. Beads of sweat poured down her face and she squinted in the harsh sunlight. A blanket of diesel fumes permeated the area around the tracks where repairs are taking place. She defended the campaign of raids on the trains, saying assaults and murder are commonplace on them. “Mexico is concerned about migrants’ welfare,” she claimed. The U.S. government is supporting Mexico’s southern border operations with technology and training, part of an operation that Mexico says is establishing order. Others such as 22-year-old Salvadoran Miguel Angel Ochoa say it’s more like chaos. He was crouched under under a rail car after arriving in Arriaga and thinking he could take the train on his way north. He said he had been living under the rail car for three days and nights when we met him. Now he was plotting his next move from Arriaga after enduring what he described as a harrowing journey from the border with Guatemala to get here. In addition to individual migrants, Isacson said the human smuggling networks have also adjusted. “I think that (bribery) is the number one driver that is allowing smuggling networks to reassemble their roots as quickly and easily as they did. Corruption is rife and it is unpunished, and it is largely uninvestigated in the agencies we’re talking about. So it makes sense that they’d find a new accommodation reasonably quickly,” he explained. The United Nations High Commissioner for Refugees (UNHCR) has a field office near the Guatemalan border, in Tapachula, Chiapas. That office is dealing with streams of asylum seekers right now. In April 2016, UNHCR issued a call for urgent action to deal with growing numbers of Central Americans trying to gain asylum status. Mexico granted refugee status in approximately 21 percent of requests in 2014 and the first seven months of 2015. Maureen Meyer is an analyst at the Washington Office on Latin America. She posited that Mexico is basically stopping migrants for the U.S.
“We have met with (Chiapas) state police who also talk about getting U.S. assistance,” Meyer explained. She said working with Mexican law enforcement implies inherent risk. This entry was posted in fronteras desk, NPR, Radio, Resources and tagged arriaga, chiapas, Guatemala, leclerc, lorne matalon, migrants, programa fronteras sur, southern boder plan, un. Bookmark the permalink.